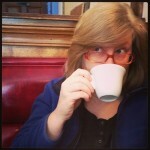 Yesterday I was invited to check out OK Cafe, a new independent coffeehouse just off of Ditmars Blvd. They are not yet ready to open but hope to be by early August. It’s a beautiful little space, and I love the cozy feel in there. It’s got dark hardwood floors, a painted tin ceiling, about 10 seats (8 at tables and 2 stools at the window bar), a beautiful green La Marzocco espresso machine, a nice menu, and a great vibe. The coffee is delicious, too—they are using Counter Culture coffee, and I was there when the rep from the company was present teaching the new staff how to best use the espresso machine and work with the coffee itself. I was lucky enough to have a latte made for me, which was fantastic. They make microfoam just the way I like it—rich and creamy. And since it’s summer, look for iced coffee, including New Orleans cold brew! Aside from coffee, they’ll have baked goods, including traditional pastries from Colson Patisserie, as well as vegan and some gluten-free baked goods from This Chick Bakes. Other treats include a small selection of ice creams from Van Leeuwen’s and fresh fruit Popsicles from People’s Pops. They also use Trickling Springs organic and grass-fed milk, which was delicious in my latte. It’s beautiful milk. For those who want to partake in non-dairy options, soy and almond milks will be available. Here are some of the photos I took while I was there. 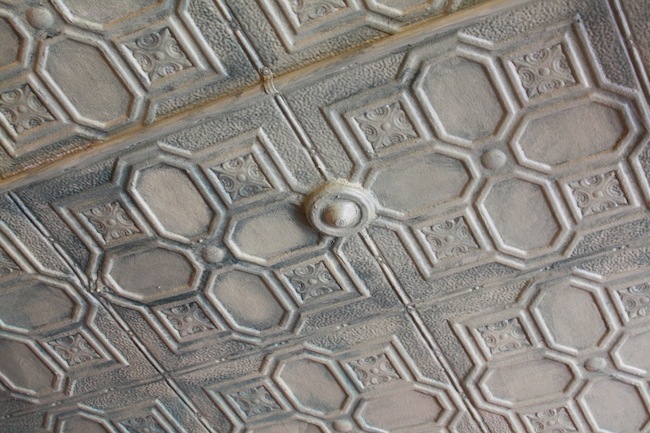 Let’s start with the painted tin ceiling—here’s a detail. It’s extends all the way to the back. As you can see, it’s more of a soft green-grey than white. 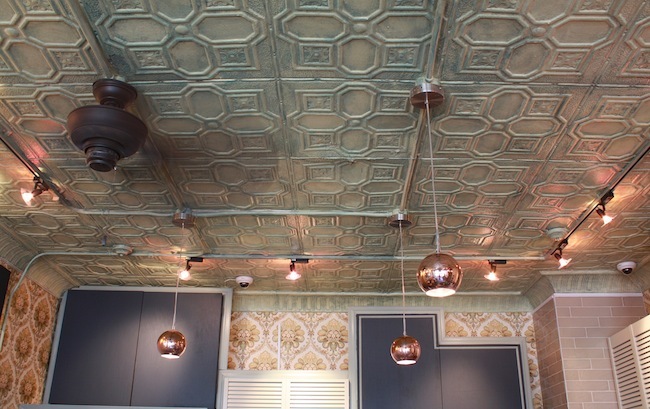 They’ve covered some of the walls with paper, and there’s also tile work in the back. 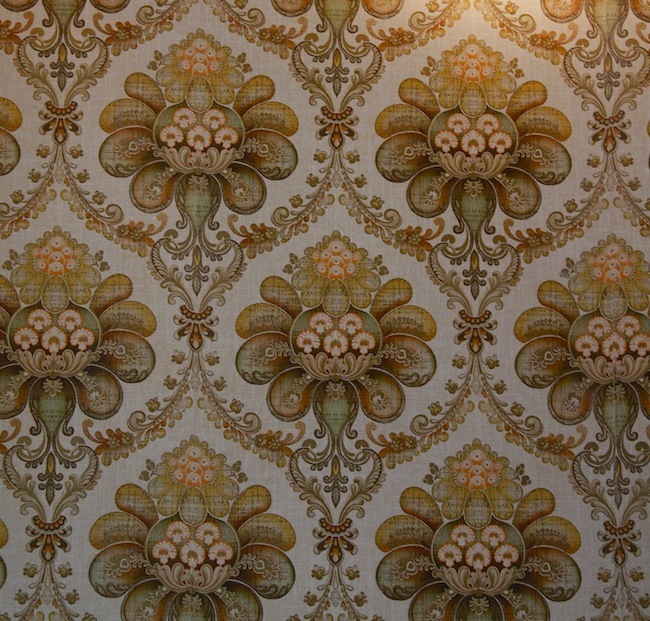 Here’s a detail of the wallpaper on the south wall. Part of the south wall also has some reclaimed wood on it, too. More detail. 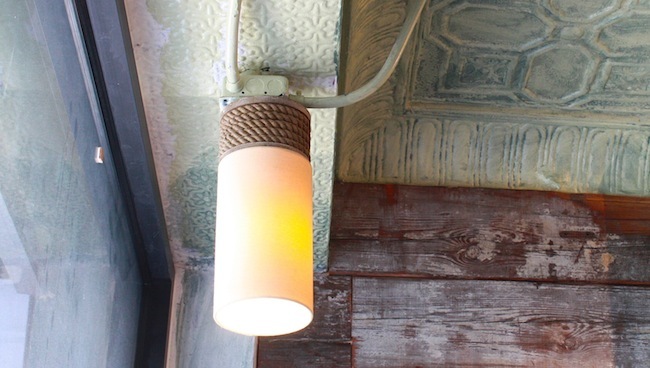 Love the rope-wrapped lamp, too. 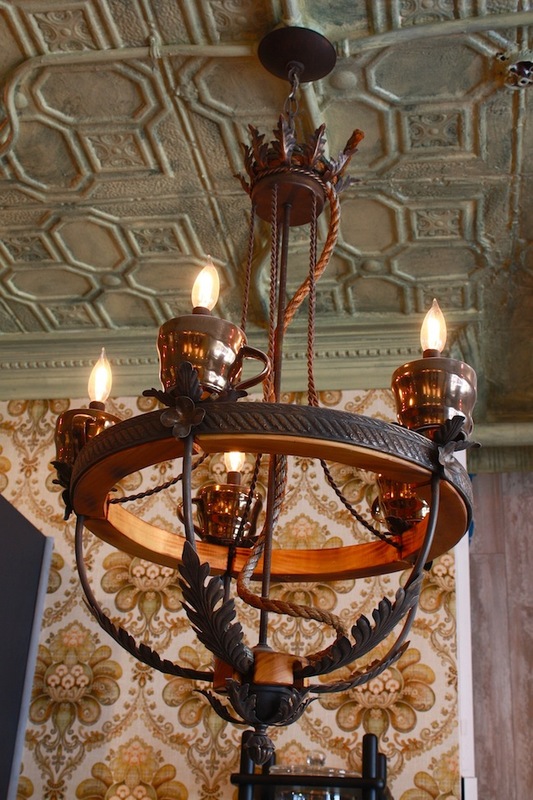 Another interesting design element is this coffee cup chandelier, made by an artist friend of the owners. Behind the counter is a Kyoto slow drip coffee maker, which is a rarity in Astoria. It takes about 12 hours to produce a batch. 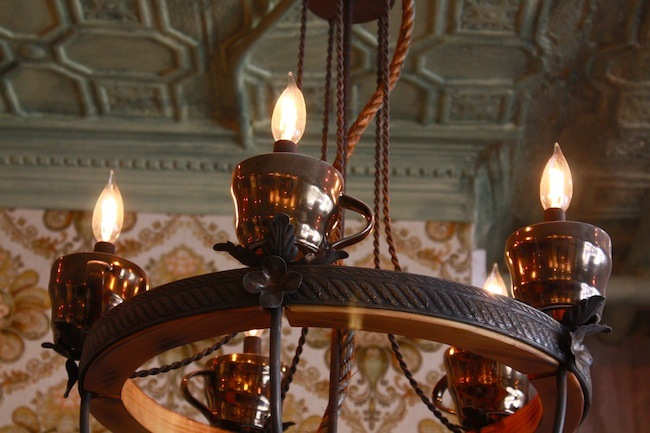 They’ll also provide conventionally made drip coffee, too. Seating is across from the counter. 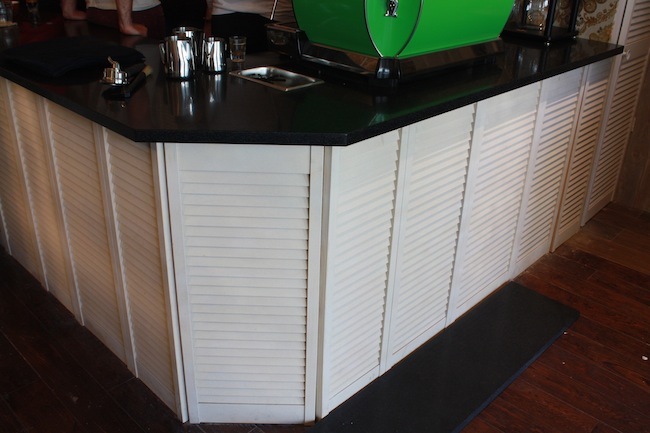 There are four two-tops, with one of the seats being on a bench that was custom made for the cafe. 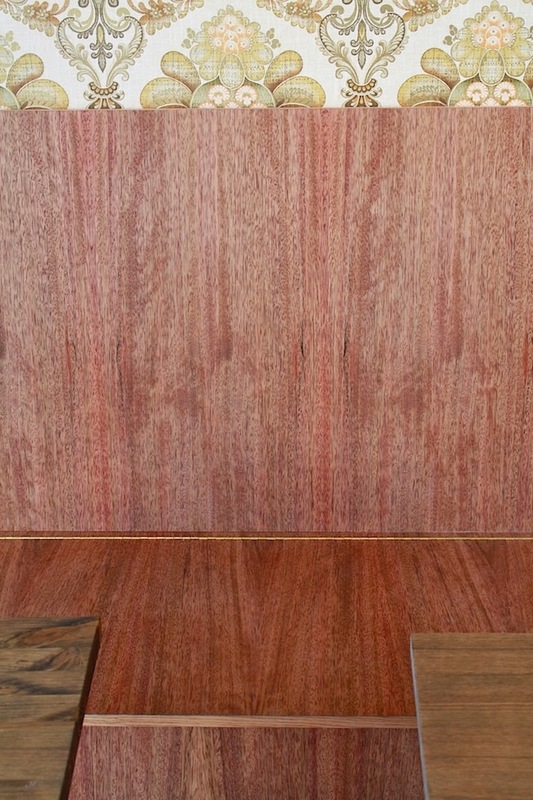 Pictured is the wall, the back of the bench against that, the seat, and the edge of two tables. All made of wood, too. Here’s the menu. 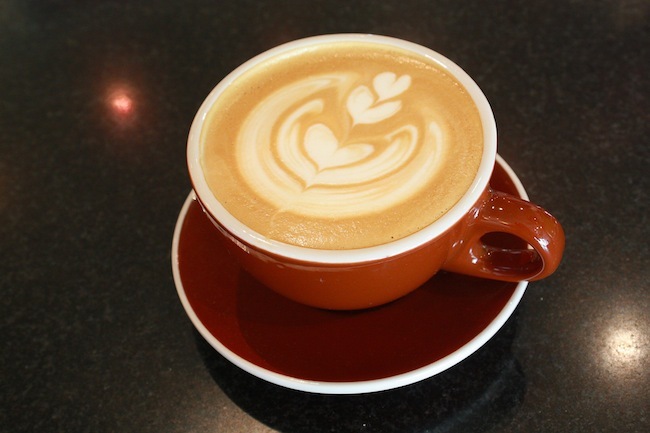 It’s pretty straightforward—BTW, a Babyccino is a steamed milk (good for the youngsters). 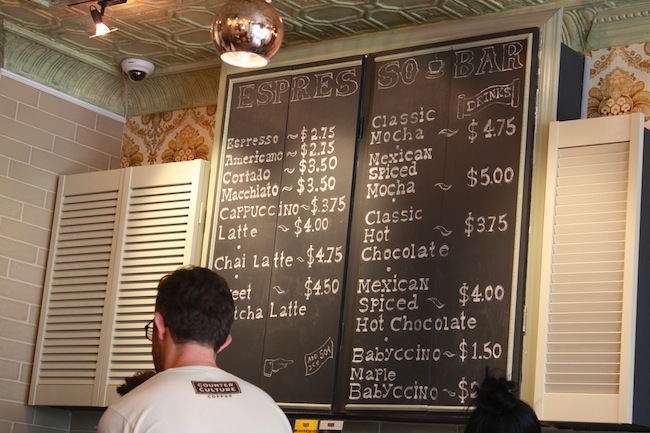 They’ll be using Taza chocolate for their hot chocolate and mocha needs. They also plan to offer a variety of teas. This is a big mirror on the south wall. 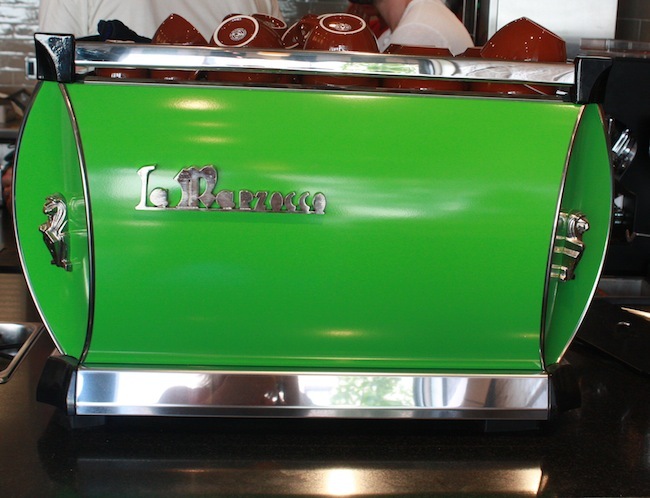 Here’s their lovely green espresso machine. And the latte they made me. 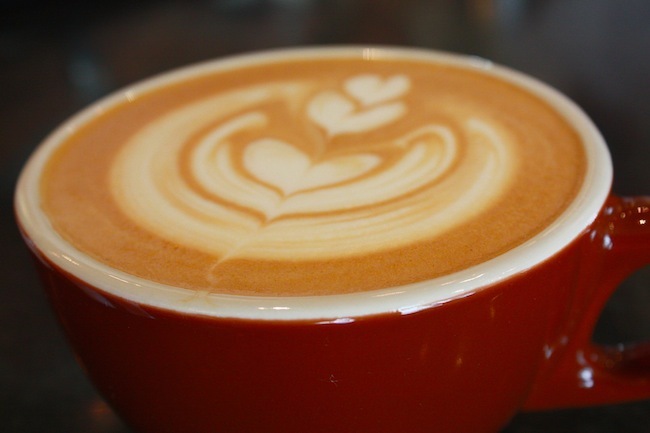 And a closeup of that beautiful foam and latte art. So there you have it. This is going to be a great addition to the area, offering a truly delicious coffee option—both the coffee and the milk are top notch. Their hours will be 7 a.m. to 7 p.m. for now, at least in the soft opening stage. They’ll be able to gauge what works best and likely adjust if necessary. Also, at least while it’s warm, they’ll have a bench of two out front. 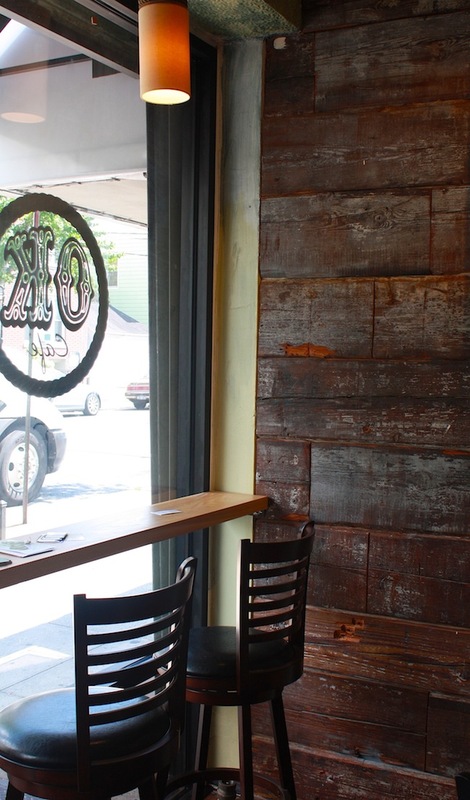 Welcome to the neighborhood, OK Cafe! 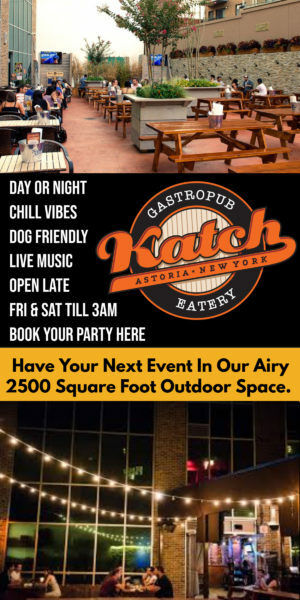 We can’t wait to hang out when you’re open! Love it! 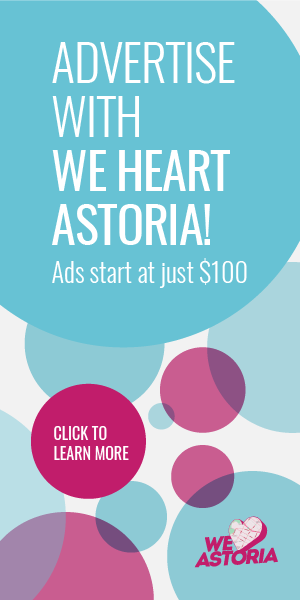 You forgot to mention that the owners have lived in Astoria for a long time and are committed to bringing quality to their neighborhood! Bravo, I am very happy for tonight’s event- finally new, very pleasant ” OK caffee” with excellent coffee and teas near my home and work! I believe that I’ ll be Your guest every morning! My favorite is MOCCA coffee! Thanks for catching that! I took the info off their Twitter page – I’ll let them know it’s incorrect. Are they not offering regular drip coffee? Didn’t see it on the boards. 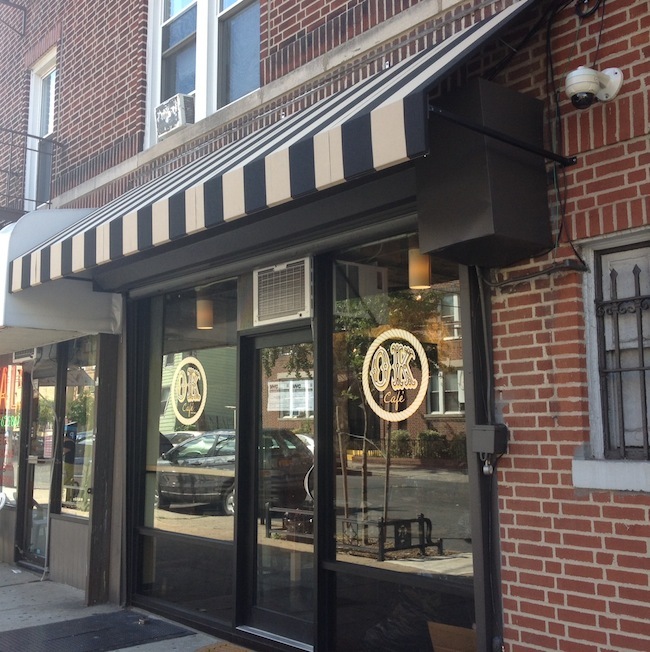 @John: Queens Kickshaw is the closest to what you’re looking for, and Café Bene will soon be opening up on Steinway in the old Popeye’s space. On the other hand, Gata Golosa does have strong Colombian brew for $1 (small) and Gulluoglu on 31st Street just north of 31st Avenue has good Turkish coffee (but nowhere to sit). Bakeway used to be an option, but I think the owner is a sneak so I’m trying not to patronize his businesses. Even more coffee options! Too bad nothing like this going on Broadway. All we have is Omonia which I like, but is overpriced. Oh and Starbucks, but I don’t like the design and decor of this one.